“Enlightenment occurs when we awaken to the truth that everything is higher consciousness, or Spirit. This realization, however, is not a mere intellectual exercise. Rather, it is a bodily and mental transformation that shatters all our intellectual presumptions about it. It sweeps us up and grasps and transfigures our entire body-mind. What gets blown to pieces is the idea that we are different from that Reality — that we are an I, an ego, a finite personality. In our realization of higher consciousness, we do not merely conceive it, or speculate about it, or even intuit it. We are it. Or to put it differently, it is all there is. The self-existent constrains the senses which turn to external objects. But the wise, with eyes averted and desirous of immortality, behold the inner self. Vedanta presents an ancient worldview that fully accords with contemporary quantum physics and cosmology. Furthermore, Vedanta offers plausible extensions to these sciences and provides means for advancing their current frontiers! Vedanta is based on the Upanishads which form the final parts or conclusions of the Vedas — a set of Indian scriptures written 2500-500 B.C. The teachings of the Upanishads are rather indefinite and have led to several interpretations. Two main approaches have evolved — one dualistic (dvaita) and the other non-dualistic (advaita). Only the latter will be considered at this site. The Ultimate Reality alone is real. The universe is unreal. The individual Self is not other than the Ultimate Reality. These three statements of Shankara (8th century A.D.) express the essence of advaita Vedanta. The Ultimate Reality (Brahman) is the source and cause of the universe but is not an intrinsic part of it. The relationship between the Ultimate Reality and the universe resembles the relationship between the Sun and its reflexion on a lake. The Sun is the source of the reflexion but is not contained in it. In the same sense that the Sun is the only reality behind the reflexion, the Ultimate Reality is the only reality behind the universe. — The second of Shankara's sentences does not state that the universe does not exist, it just states that the universe only exists in the same sense that the Suns reflexion on the lake exists. If not for the Sun there would be no reflexion and if not for the Ultimate Reality there would be no universe. On the other hand, as the Sun is independent of whatever happens to its reflexion, the Ultimate Reality is independent of whatever happens to the universe — and is always present behind the scenes. To many it is not given to hear of the Self. Many, though they hear of it, do not understand it. Wonderful is he who speaks of it. Intelligent is he who learns of it. Blessed is he who, taught by a good teacher, is able to understand it. For opinions regarding it, not founded in knowledge, vary one from another. Subtler than the subtlest is this Self, and beyond allegoric. A man leaves vain theory behind and attains to truth. Words cannot reveal him. Mind cannot reach him. Eyes do not see him. Save when taught by those seers who indeed have known him? The Vedas are the breath of this great Being. Hence She is The Mother of the Vedas. This My divine illusion, consisting of gunas is very difficult to transcend. Obstructing the door of the path of salvation. The existence of ignorance, then, has to be accepted, even though it is inexplicable in itself; otherwise we should deny the undeniable fact that the phenomenal world is experienced. Brahman is experienced, and that experience is the sage's proof of Brahman; but if experience counts in one context it must be allowed to count also in the other. Hence, ignorance is described as"something"Which may be said to have"The form or appearance of a floating or transient reality" (bhavarupa.) In common with the beings and the experiences rooted in it, this"something"has the"form of becoming" (also bhavarupa): it is transient, perishable, conquerable. Having come into existence at the beginning of time, as the very basis of world experience and ego consciousness, it can go out of existence again. If it were truly existent (sat," real beyond changes") it could never be dispelled, and there would be no experience of Atman-Brahman as the sole reality; there would be no Vedanta. But on the other hand, if ignorance were non-existent it would not display all these effects. The only thing that can be found out about it, therefore, is that this"something"Is"Antagonistic to knowledge, incompatible with wisdom," for it vanishes, with all its modifications, at the dawn of knowledge; and furthermore, that the gunas are inherent in it, for it cannot be separated from them any more than a substance from its attributes. The proof of its existence, finally, is the simple awareness," I am ignorant.” "
Princeton University Press, 1974, p. 422-23. — All Bliss enjoyed from Sri Brahma downwards are a drop in Ocean for Her. Bhajante varnaste tava janani nam'vayavatham. There is a Shakti called Kundalini. A man never again enters his mother's womb as a child. "The notion of divinity which works on this basis of power is the cult of Sakti. It is through energy that the motionless substratum gets energised and the universe can be created, maintained and destroyed. She is the power of Siva. 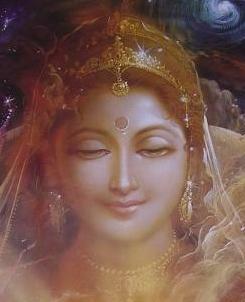 This primordial Goddess is worshipped as the"Veiled Kundalini"In Swami's song on Guharini (—20). The quiescent aspect of Siva and the dynamic activity of Sakti combine to beget countless centres of energies in the macrocosm and microcosm.”It is in the union of Sivam and Sakti that true wisdom is fully revealed.” "
Princeton University Press, 1974, p. 56-7. Those who see Truth and speak Truth, their bodies and minds become truthful. Truth is their evidence, Truth is their instruction, True is the praise of the truthful. Those who have forgotten Truth cry in agony and weep while departing. The fire of knowledge burns to ashes all karma. Nothing in this world purifies like spiritual wisdom. The path which leads to the Self within. Thus worshipping Me, O great King, you will attain that state. — The Female Swan in the Mind; dwells in devotee's mind. In Vedanta, the mind is regarded as a conscious force which manifests itself as intellect, will, ego and memory. The mind is called intellect, when it is concerned with discrimination, decision or bringing knowledge. The mind is called will, when it, via the nervous system, forces the body or senses into activity. The mind is called ego, when it identifies itself with the body and senses and takes part in their troubles and pleasures. 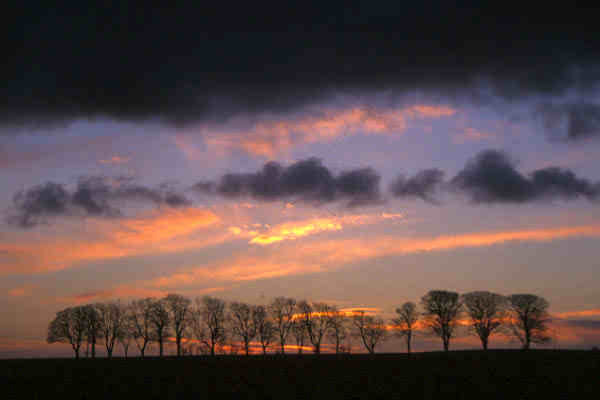 The mind is called memory, when it recalls earlier wishes, thoughts, actions, events etc. The mind works from five different levels — the unconscious, the subconscious, the conscious, yoga-nidra and the superconscious level. Of these the first three reside in the chitta (or mind-stuff) which is a certain fine manifestation of the kundalini energy. The chitta is the reservoir for all impressions and the mind must always refer to the chitta to recall earlier wishes, thoughts, actions, events etc. 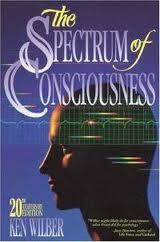 The conscious level corresponds to the knowledge that can be recalled without deep thinking. Any active wish or thought leaves an impression in the chitta at the conscious level, but if not repeated the impression sinks down to the subconscious level. Here it remains for a while and can be recalled by deep thinking. If not recalled here, the impression sinks further down to the unconscious level, where it remains in a causal form. In the normal, awaken state the mind cannot recall impressions from the unconscious level but they may be recalled in dreams, instinctive actions, under inspiration or by certain unconscious habits. According to Vedanta, the two remaining levels, yoga-nidra and superconciousness, can only be (intentionally) accessed by those who have practiced the techniques of yoga and meditation. (Yoga-nidra is a state in which one is asleep but nevertheless is fully aware of the surroundings). Like everything else, the mind is composed of the three gunas and is caused by their interactions. One guna always dominates the other two, and it is the dominating guna that determines the general state of a person's mind. A person, in which the tamas-guna is dominating, is confused and lives in darkness — tendency to anger, greed, hate, laziness etc. is prevailing. If the rajas-guna is the dominating, the person is very active and possesses a mixture of positive and negative tendencies. The rajas-guna person may lie, swindle and commit murder but for each such deed, he or she will feel deep regret and guilt. The rajas-guna either works towards tamas-guna suppressing sattva-guna, or works towards sattva-guna suppressing tamas-guna. When the sattva-guna is the dominating, the person is calm and peaceful and has a pure, powerful and concentrated mind. A sattva-guna person is always unselfish, truthful, fearless and wise. The guru, it is declared, is the very Lord himself. To approach the guru, to worship the guru, is to approach the Lord, worship the Lord. Why should he not act directly? How can such a one be worshipped? He takes the form of the guru and, when so worshipped in devotion, Grants liberation and fulfillment. Therefore He protects the disciple conforming to Dharma in the form of the guru. But to him whose karma is auspicious, meritful, the guru appears as Shiva. "Hindu tantric schools have in common an emphasis on the creative power of the universe, which they personify as a female divinity, Shakti. The source of all life and movement, tantrics believe that the mighty energy of Shakti can be utilized to reach the spiritual aim shared by other Hindus: the sublime condition of self-realization, variously known as MUKTI, MOKSHA, SAHAJ SAMADHI, etc. Facts on File, Inc., 1995, p. 274. Beyond the nine gates, the Tenth Gate is found, and liberation is obtained. — Half the body of Sri-kantha i.e. Siva. The equal status of Siva and Sakti are indicated by this name. And thence arose husband and wife. The powerful energy cannot be distinct from the substratum from which it arises. Where its equivalent saci (Divine grace) represents divine energy. "In its own glory — nay, not even in that. But these are poor and finite things. How shall the Infinite rest anywhere but in itself? "The infinite is below, above, behind, before, to the right, to the left. I am all this. This Infinite is the Self. The Self is below, above, behind, before, to the right, to the left. Such a one delights in the Self, rejoices in the Self. He becomes master of himself, master of all worlds. 301. Hrim kari - She who makes the holy sound Hrim. 302. Harimathi - She who is shy. 303. Hrudya - She who is in the heart (devotees). 304. Heyopadeya varjitha - She who does not have aspects which can be accepted or rejected. 305. Raja rajarchitha - She who is being worshipped by king of kings . 306. Rakhini - She who is the queen of Kameshwara. 307. Ramya - She who makes others happy. 308. Rajeeva lochana - She who is lotus eyed. 309. Ranjani - She who by her red colour makes Shiva also red. 310. Ramani - She who plays with her devotees. 311. Rasya - She who feeds the juice of everything. 312. Ranath kinkini mekhala - She who wears the golden waist band with tinkling bells. 313. Ramaa - She who is like Lakshmi. 314. Raakendu vadana - She who has a face like the full moon. 315. Rathi roopa - She who attracts others with her features like Rathi (wife of God of love-Manmatha). 316. Rathi priya - She who likes Rathi. 317. Rakshaa kari - She who protects. 318. Rakshasagni - She who kills Rakshasas-ogres opposed to the heaven. 319. Raamaa - She who is feminine. 320. Ramana lampata - She who is interested in making love to her lord. 321. Kaamya - She who is of the form of love. 322. Kamakala roopa - She who is the personification of the art of love. 323. Kadambha kusuma priya - She who likes the flowers of Kadamba. 324. Kalyani - She who does good. 325. Jagathi kandha - She who is like a root to the world. 326. Karuna rasa sagara - She who is the sea of the juice of mercy. 327. Kalavathi - She who is an artist or she who has crescents. 328. Kalaalapa - She whose talk is artful. 329. Kaantha - She who glitters. 330. Kadambari priya - She who likes the wine called Kadambari or She who likes long stories. 331. Varadha - She who gives boons. 332. Vama nayana - She who has beautiful eyes. 333. Vaaruni madha vihwala - She who gets drunk with the wine called varuni (The wine of happiness). 334. Viswadhika - She who is above all universe. 335. Veda vedya - She who can be understood by Vedas. 336. Vindhyachala nivasini - She who lives on Vindhya mountains. 337. Vidhatri - She who carries the world. 338. Veda janani - She who created the Vedas. 339. Vishnu maya - She who lives as the Vishnu maya. 340. Vilasini - She who enjoys love making. 341. Kshetra swaroopa - She who is personification of the Kshetra or body. 342. Kshetresi - She who is goddess of bodies. 343. Kshethra kshethragna palini - She who looks after bodies and their lord. 344. Kshaya vridhi nirmuktha - She who neither decreases or increases. 345. Kshetra pala samarchitha - She who is worshipped by those who look after bodies. 346. Vijaya - She who is always victorious. 347. Vimala - She who is clean of ignorance and illusion. 348. Vandhya - She who is being worshipped by every body. 349. Vandharu jana vatsala - She who has affection towards all those who worship her. 350. Vaag vadhini - She who uses words with great effect in arguments. 351. Vama kesi - She who has beautiful hair. 352. Vahni mandala vaasini - She who lives in the universe of fire which is Mooladhara. 353. Bhakthi mat kalpa lathika - She who is the wish giving creeper Kalpaga. 354. Pasu pasa vimochani - She who removes shackles from the living. 355. Samhrutha sesha pashanda - She who destroys those people who have left their faith. 356. Sadachara pravarthika - She who makes things happen through good conduct. 357. Thapatryagni santhaptha samahladahna chandrika - She who is like the pleasure giving moon to those who suffer from the three types of pain. 358. Tharuni - She who is ever young. 359. Thapasa aradhya - She who is being worshipped by sages. 360. Thanu Madhya - She who has a narrow middle (hip). 361. Thamopaha - She who destroys darkness. 362. Chithi - She who is personification of wisdom. 364. Chidekara swaroopini - She who is wisdom through out. 365. Swathmananda lavi bhootha brahmadyanantha santhathi - She who in her ocean of wisdom makes Wisdom about Brahmam look like a wave. 366. Paraa - She who is the outside meaning of every thing. 367. Prathyak chidi roopa - She who makes us look for wisdom inside. 368. Pasyanthi - She who sees everything within herself. 369. Para devatha - She who gives power to all gods. 370. Madhyama - She who is in the middle of everything. 371. Vaikhari roopa - She who is of the form with words. 372. Bhaktha manasa hamsikha - She who is like a swan in the lake called mind. 373. Kameshwara prana nadi - She who is the life source of Kameswara. 374. Kruthagna - She who watches all actions of every one or She who knows all. 375. Kama poojitha - She who is being worshipped by the god of love in the kama giri peeta of Mooladhara chakra-Kama. 376. Srungara rasa sampoorna - She who is lovely. 377. Jayaa - She who is personification of victory. 378. Jalandhara sthitha - She who is on Jalandhara peetha or She who is purest of the pure. 379. Odyana peeda nilaya - She who is on Odyana peetha or She who lives in orders. 380. Bindu mandala vaasini - She who lives in the dot in the center of Srichakra. 381. Raho yoga kramaradhya - She who can be worshipped by secret sacrificial rites. 382. Rahas tarpana tarpitha - She who is pleased of chants knowing its meaning. 383. Sadya prasadini - She who is pleased immediately. 384. Viswa sakshini - She who is the witness for the universe. 385. Sakshi varjitha - She who does not have witness for herself. 388. Nithya klinna - She in whose heart there is always mercy. 389. Nirupama - She who does not have anything to be compared to. 390. Nirvanasukha dayini - She who gives redemption. 391. Nithya shodasika roopa - She who is of the form sixteen goddesses. 392. Sri kandartha sareerini - She who occupies half the body of Lord Shiva. 393. Prabhavathi - She who is lustrous of supernatural powers. 394. Prabha roopa - She who is personification of the light provided by super natural powers. 395. Prasiddha - She who is famous. 396. Parameshwari - She who is the ultimate goddess. 397. Moola prakrithi - She who is the root cause. 398. Avyaktha - She who is not clearly seen. 399. Vyktha Avyaktha swaroopini - She who is visible and not visible. 400. Vyapini - She who is spread everywhere. "Whoever achieves gnosis becomes"no longer a Christian, but a Christ.” We can see, then, that such gnosticism was more than a protest movement against orthodox Christianity. Gnosticism also included a religious perspective that implicitly opposed the development of the kind of institution that became the early catholic church. Those who expected to"become Christ"Themselves were not likely to recognize the institutional structures of the church — its bishops, priest, creed, canon, or ritual — as bearing ultimate authority. This conviction — that whoever explores human experience simultaneously discovers divine reality — is one of the elements that marks gnosticism as a distinctly religious movement. Simon Magus, Hippolytus reports, claimed that each human being is a dwelling place," and that in him dwells an infinite power ... the root of the universe.”.. The Hartford Seminary Foundation, Hartford, Conn.
"Vedas (Sk.). The"revelation", the scriptures of the Hindus, from the root vid," to know", or"divine knowledge.” They are the most ancient as well as the most sacred of the Sanskrit works.